Greek IVF medical center nominated for a worldwide distinction. Embio is an assisted reproduction medical center that follows the most advanced and up-to-date protocols applying cutting-edge technology methods. International recognition for the ground-breaking work of Greek gynecologists in the field of assisted reproduction is the nomination of Embio Medical Center in a world medical tourism contest as the “Best IVF Clinic of the Year”. 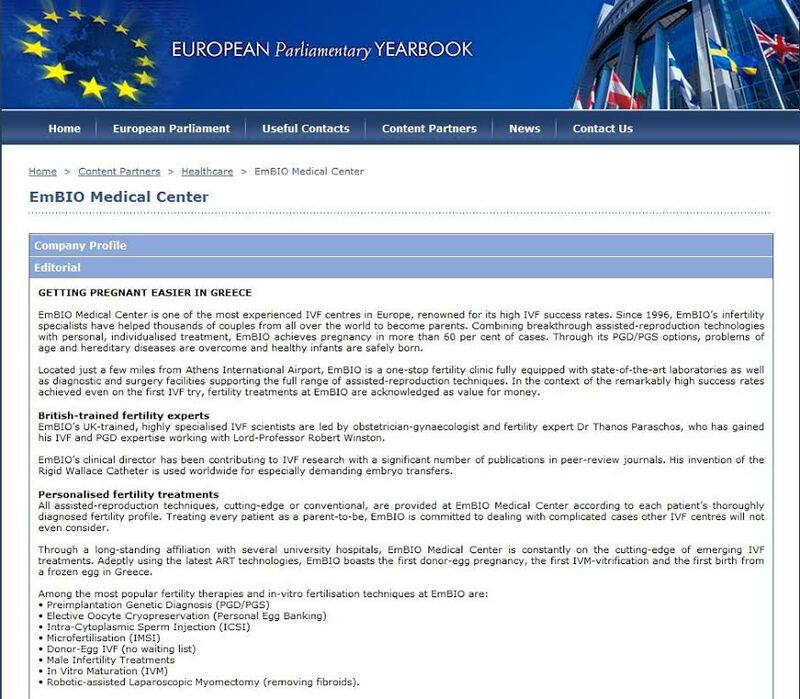 This nomination for Embio IVF Medical Center demonstrates the fact that Greece, regardless of its prolonged economic crisis, makes the difference and is a pioneer in assisted reproduction on an international scale. 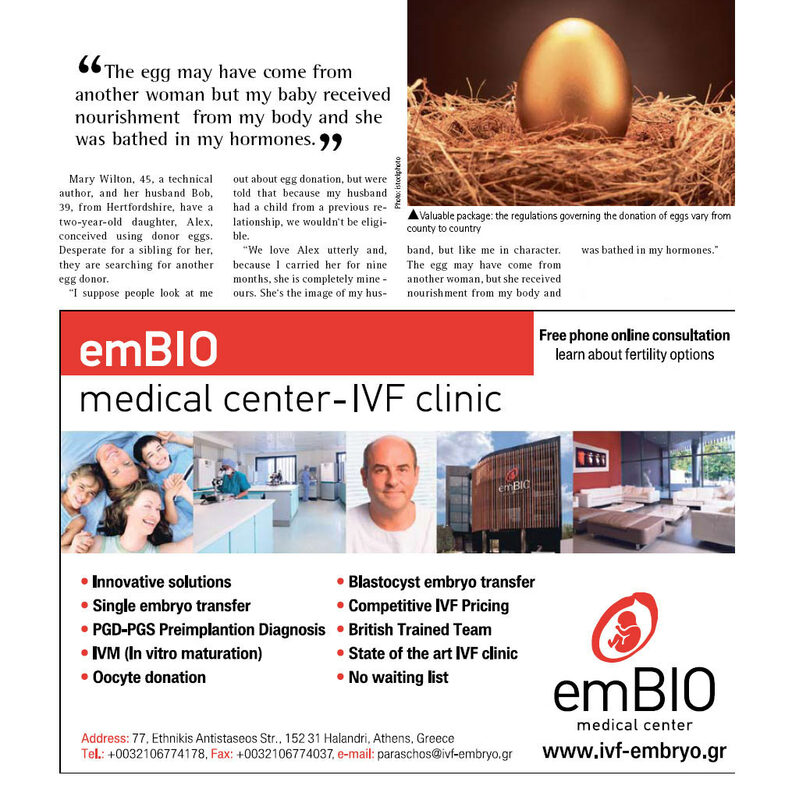 IVF Embio Medical Center, under the leadership of its scientific director and gynecologist Dr Thanos Paraschos, has exhibited a broad and innovative scientific work on a global scale over the years. It now claims the title of “Best IVF Clinic of the Year” in the cross-border reproductive care in an international contest taking place on May the 26th in Madrid. The contest is organised in a different country on an annual basis by the internatiοnally renowned Medical Tourism newspaper http://awards.imtj.com/. The competing clinics are thoroughly examined according to a series of criteria, while the judges' committee consists of important celebrities from all over the world. This is the first time that a Greek IVF Centre is nominated for such a distinction. The choice of Embio as a contester was not random by far. Embio is an assisted reproduction medical center that follows the most sophisticated protocols and applies all cutting- edge technologies both in terms of pre-implantation control as well as the procedures and the methods of In Vitro Fertilisation (IVF), among which are IntraCytoplasmic Sperm Injection (ICSI) techniques involving sperm issues. 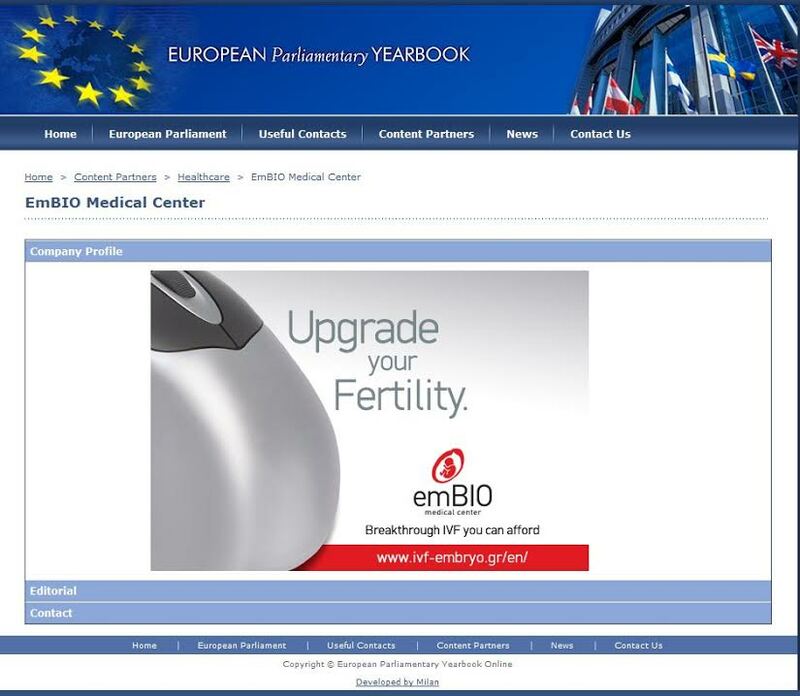 Embio also provides many alternatives such as natural cycle In Vitro and the opportunity of egg deep freeze using the vitrification method which ensures enhanced maintenance along with higher fertility rates as well as solutions for dealing with infertility problems for both genders, for example, endomitriosis in women and azoospermia in men.